The trainer effect is quite large. One of the things I’ve said to a number of people we work with is who is it going to be trained by? That’s the first thing I think that people underestimate. Who you give the horse to actually has a very large impact on the outcome. You are in the industry and want to be successful, and there’s a reason why the really successful trainers have a lot of horses in work because they maximise the really good horses and that’s what you want to be able to do. We get in there and we start to look at the DNA markers and say, what is this horse in terms of its genotype and does what we look for in terms of cardiovascular capacity match up with that? One of the things we see a lot of is horses with sprinting cardios that are distance horses, or vice-versa. So we see a lot that should be 6 – 8 furlong horses, but have got a cardio like a two mile jumper. Or it’s the other way around. We see a lot of horses that are supposed to be distance horses but just don’t have the cardiac capacity to get that far in high competition. So we’re marrying that all together in one database. We’re up to seven and a half thousand horses now so we’ve got quite a large database with a lot of outcomes. We’re able to see those things fairly quickly, and I will say that we’re probably getting better as we go along at the edges of the population. So if you look at the population and said precocious early two year old sprinters that are on one end and later maturing 4 year old distance horses are on the other, we’re actually very good on those two edges. Where the middle part is… horses that are three year olds that might run to ten furlongs. They’re not as easy as the edges and I think the reason for that is, we can find horses where they’ve got real physiological advantage. So if you’re talking about an early two year old like Fontiton… they have genetic markers which say that they’re going to be sprinters, but they’ve also got the advantage of a very fast, early maturing cardio which is easy to train, they get to the track easier, they get to train harder and they can respond to training better. So we’re very good at finding those horses with various points of physiological advantage. Can You Pick Any Kind OF Horse? It’s no different to a handicapper or punter, my brother for a while was playing professional poker and they know what hands they play well and what they don’t play well. I’m sure there are punters who know that they’re very good at trifecta handicapping or they know that they’re very good at different bet types and under different bet conditions i.e. they know that they’re no good in the wet or whatever. It’s no different. A lot of our most recent research is to do with variation in muscle fibre types. We’ve had a look at a lot of differences between elite sprinters and non-elite sprinters. If you take the group of horses that are elite sprinters what is the specific differences between them as a group? I think the reason we did that mainly was because about 50% of the population in Australia, in terms of yearling population, commercial yearling population ends up being sprinters in genetic terms. They’re very high on type two muscle fibre so we basically said if half the population there in Australia is sprinters (and this is a totally different conversation we could have as to why that means we can’t produce decent stayers in Australia) then we really need to know everything we can possibly know about sprinters. We know why certain sprinters will have different cardio types and what that means, but we tie that into the genetics and some bio mechanical features and we get a holistic view of it all and we get a much closer and richer view of what actually takes to be a good sprinter. Check out this and all other past episodes of the Betting 360 podcast here. 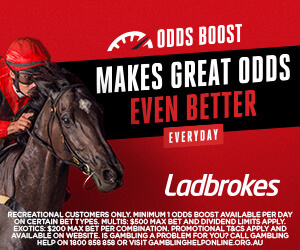 Whether it’s Victorian racing, AFL or NRL, or even jumps racing in the UK, we have something for everyone.